It finally happened! One of my “Go BIG” dreams—other than seeing the world’s largest ball of twine—was to sit in a BIG chair. Got it done in Branson! 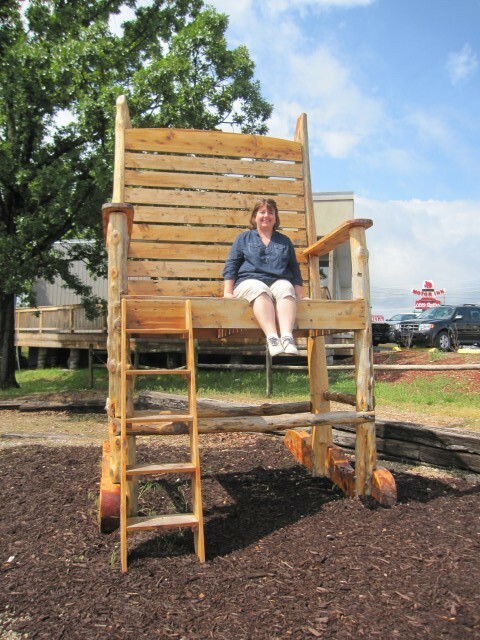 This hand-crafted, 15-foot chair sits in the parking lot of Miss Julie’s Old Time Photos on Highway 76. Thanks to Eric who works there for agreeing to leave his post and snap this shot for me!